The Horse Councils around the United States have worked diligently to help protect the rights of horseman everywhere. Whether you are a professional trainer, a non-profit riding club, or a personal horse owner, the Equine Warning Law is designed to help protect your rights in the event that you are sued. If you do not comply with the laws in your state, you could be jeopardizing your insurance coverage in the event of a claim. Below is a comprehensive list of the states that have equine statutes in place. Some states do require that the Warning Law or other specific wording be shown in your Release of Liability form. Some states also require that you post signs at your facility with the Warning Law on them. This information is provided as a reference only. Please check with a legal counselor for exact law information in your state. California, Maryland, Nevada, and New York. Alabama - Warning - Under Alabama Law, an equine activity sponsor or equine professional is not liable for an injury or death of a participant in equine activities resulting from the inherent risks of equine activities, pursuant to the Equine Activities Liability Protection Act. Alaska - No sign or contract language required. Arizona - "A signed release acknowledges that the person is aware of the inherent risks associated with equine activities, is willing and able to accept full responsibilities for his own safety and welfare and releases the equine owner or agent from liability unless the equine owner or agent is grossly negligent or commits willful, wanton or intentional acts or omissions." Arkansas - Warning - Under Arkansas law, an equine activity sponsor is not liable for an injury to, or the death of, a participant in equine activities resulting from the inherent risk of equine activities. Colorado - WARNING - Under Colorado Law, an equine professional is not liable for an injury to or the death of a participant in equine activities resulting from the inherent risks of equine activities, pursuant to section 13-21-119, Colorado Revised Statutes. Connecticut - Assumption of risk by person engaged in recreational equestrian activities when, each person engaged in recreational equestrian activities shall assume the risk and legal responsibility of any injury to his person or property arising out of the hazards inherent in equestrian sports, unless the injury was proximately caused by negligence of the person providing the horse or horses to the individual engaged in recreational equestrian activities or the failure to warn against a dangerous condition, use, structure or activity by the person providing the horses or his agents or employees. Delaware - Warning - Under Delaware Law, an equine professional is not liable for an injury to or the death of a participant in equine activities resulting from the inherent risks of equine activities, pursuant to 10 Delaware Code Section 8140. Florida - Warning - Under Florida law, an equine sponsor or equine professional is not liable for an injury to, or the death of, a participant in equine activities resulting from the inherent risks of equine activities. Georgia - Warning - Under Georgia law, an equine activity sponsor or equine professional is not liable for an injury to or the death of a participant in equine activities resulting from the inherent risks of equine activities, pursuant to Chapter 12 of Title 4 of the Official Code of Georgia Annotated. Hawaii - No Signs or Contractual Language in Release Forms required. Idaho - No Signs or Contractual Language in Release Forms required. Illinois - Warning - Under the Equine Activity Liability Act, each participant who engages in an equine activity expressly assumes the risks of engaging in and legal responsibility for injury, loss, or damage to person or property resulting from the risk of equine activities. Indiana - Warning - Under Indiana law, an equine professional is not liable for an injury to, or the death of, a participant in equine activities resulting from the inherent risks of equine activities. Iowa - Warning - Under Iowa Law, a domesticated animal professional is not liable for damages suffered by, an injury to, or the death of a participant resulting from the inherent risks of domesticated animal activities, pursuant to Iowa Code Chapter 673. You are assuming the inherent risks of participating in this domesticated animal activity. Kansas - Warning - Under Kansas law, there is no liability for an injury to or the death of a participant in domestic animal activities resulting from the inherent risks of domestic animal activities, pursuant to sections 1 through 4. You are assuming the risk of participating in this domestic animal activity. Kentucky - Warning - Under Kentucky law, a farm animal activity sponsor, farm animal professional, or other person does not have the duty to eliminate all risks of injury to the participation in farm animal activities. There are inherent risks of injury that you voluntarily accept if you participate in farm animal activities. Louisiana - Warning - Under Louisiana law, an equine activity sponsor or equine professional is not liable for an injury to death of a participant in equine activities resulting from the inherent risks of equine activities, pursuant to R.S. 9:2795.1.1. Maine - Warning - Under Maine law, an equine professional has limited liability for an injury or death resulting from the inherent risks of equine activities. Massachusetts - Warning - Under Massachusetts law, an equine professional is not liable for an injury to, or death of, a participant in equine activities resulting from the inherent risks of equine activities, pursuant to section 2D of chapter 128 of the General Laws. Michigan - Warning - Under the Michigan equine activity liability act, an equine professional is not liable for an injury to or the death of a participant in an equine activity resulting from the inherent risk of the equine activity. Missouri - Warning - Under Missouri law, an equine activity sponsor, an equine professional, a livestock activity sponsor, a livestock owner, a livestock facility, a livestock auction market, or any employee thereof is not liable for an injury to or the death of a participant in equine or livestock activities resulting from the inherent risks of equine or livestock activities pursuant to the Revised Statutes of Missouri. Mississippi - Warning - Under Mississippi law, an equine activity or equine sponsor is not liable for an injury to or the death of a participant in equine activities resulting from the inherent risks of equine activities, pursuant to this chapter. Minnesota - Signs are required to be posted, but there is no Contractual Language required in Release Forms. Montana - No Signs or Contractual Language in Release Forms required. Nebraska - Warning - Under Nebraska Law, an equine professional is not liable for an injury to or the death of a participant in equine activities resulting from the inherent risks of equine activities pursuant to sections 25-21,249 to 25-21,253. New Hampshire - ATTENTION! Under New Hampshire law, a participant in equine activities assumes the risk of any injury, harm, damage, or death and any legal responsibility that may occur to participant resulting from the inherent risks associated with equine activities. Pursuant to R.S.A. 508:19, equine professionals are not liable for damages resulting from the inherent risks of equine activities. New Jersey - Signs are required to be posted, but there is no Contractual Language required in Release Forms. New Mexico - Signs are required to be posted, but there is no Contractual Language required in Release Forms. North Carolina - Warning - Under North Carolina law, an equine activity sponsor or equine professional is not liable for an injury to or the death of a participant in equine activities resulting exclusively from the inherent risks of equine activities. Chapter 99E of the North Carolina General Statutes. North Dakota - No Signs or Contractual Language in Release Forms required. Ohio - "A valid waiver for purposes of...this Section shall be in writing and subscribed by the equine activity participant or the parent, guardian, custodian, or other legal representative of the equine activity participant, and shall specify at least each inherent risk of an equine activity that is listed and that will be a subject of the waiver of tort or other civil liability." Oregon - "The limitations on liability provided in ORS 30.691 shall apply to an adult participant in the circumstances listed in subsection (1)(b) of this section if the participant, prior to riding, training, driving, grooming or riding as a passenger upon an equine, knowingly executes a release stating that as a condition of participation, the participant waives the right to bring an action against the equine professional or equine activity sponsor for an injury or death arising out of riding, training, driving, grooming or riding as a passenger upon the equine. A release so executed shall be binding upon the adult participant........."
Pennsylvania - Signs are required to be posted, but there is no Contractual Language required in Release Forms. Rhode Island - Warning - Under Rhode Island Law, an equine professional, unless he or she can be shown to have failed to be in the exercise of due care, is not liable for an injury to, or the death of, a participant in equine activities resulting from the inherent risks of equine activities, pursuant to this chapter. South Carolina - Warning - Under South Carolina law, an equine activity sponsor or equine professional is not liable for an injury to or the death of a participant in an equine activity resulting from an inherent risk of equine activity, pursuant to Article 7, Chapter 9 of Title 47, Code of Laws of South Carolina, 1976. South Dakota - Warning - Under South Dakota law, an equine professional is not liable for an injury to or the death of a participant in equine activities resulting from the inherent risks of equine activities, pursuant to Section 42-11-2. Tennessee - Warning - Under Tennessee Law, an equine professional is not liable for an injury to or death of a participant in equine activities resulting from the inherent risks of equine activities, pursuant to Tennessee Code Annotated, title 44, chapter 20. Texas - Warning - Under Texas Law (Chapter 87, Civil Practice and Remedies Code), a farm animal professional is not liable for an injury to or the death of a participant in farm animal activities resulting from the inherent risks of farm animal activities. Utah - The notice provided by the sign or document shall be sufficient if it includes the definition of inherent risk in Section 78-27b-101 and states that the sponsor is not liable for those inherent risks. Vermont - Warning - Under Vermont Law, an equine activity sponsor is not liable for an injury to, or the death of, a participant in equine activities resulting from the inherent risks of equine activities that are obvious and necessary, pursuant to 12 V.S.A. 1039. Virginia - "The waiver shall give notice to the participant of the risks inherent in equine activities, including (i) the propensity of an equine to behave in dangerous ways which may result in injury to the participant; (ii) the inability to predict an equine's reaction to sound, movement, persons, or animals; and (iii) hazards of surface or subsurface conditions. Washington - No Signs or Contractual Language in Release Forms required. West Virginia - "Every horseman shall.. prepare and present to each participant or prospective participant, for his or her inspection and signature, a statement which clearly and concisely explains the liability limitations, restrictions and responsibilities set forth in this article." Wisconsin - Notice: A person who is engaged for compensation in the rental of equines or equine equipment or tack or in the instruction of a person in the riding or driving of an equine or in being a passenger upon an equine is not liable for the injury or death of a person involved in equine activities resulting from the inherent risks of equine activities, as defined in section 895.481(l)(e) of the Wisconsin Statutes. Wyoming - No Signs or Contractual Language in Release Forms required. If you do not have a Release of Liability for your horse operation or riding club, visit Equine Legal Solutions and check out their forms. When in doubt, don't hesitate to seek the advice of a professional. 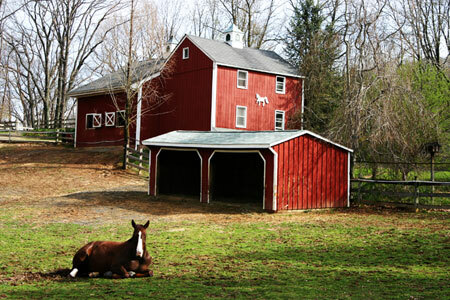 Julie Fershtman is a lawyer with special expertise in Equine Law. She has published books and her advice columns are run monthly by several websites and publications. Check out www.equinelaw.net for her contact information.